Adhesive labels (generally known as product labels) and promotional stickers can be produced in a number of ways. 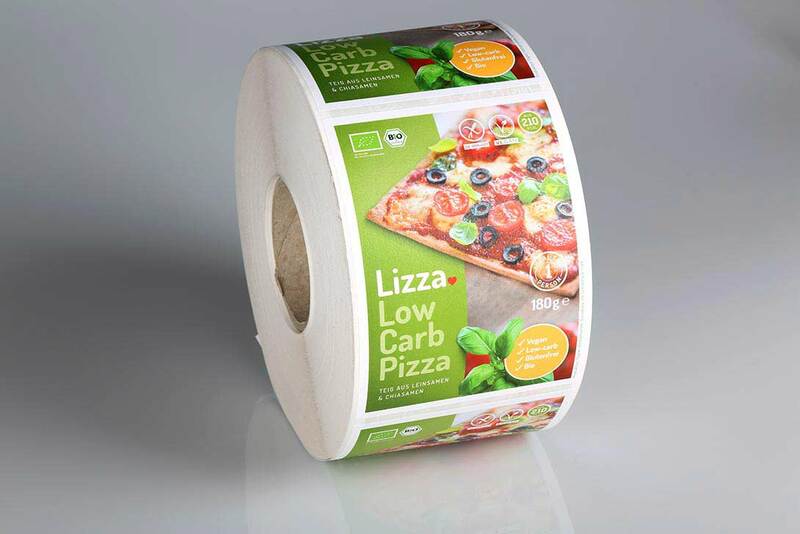 We specialise in printing our self adhesive, printed labels on rolls. Why Produce Adhesive Labels on Rolls? 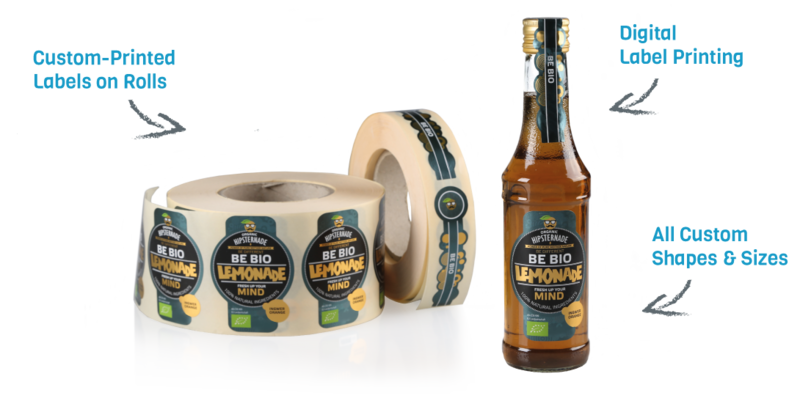 Producing on roll labels allows for simple and versatile processing and application of labels when it comes to packing or bottling – either via machine or manually. 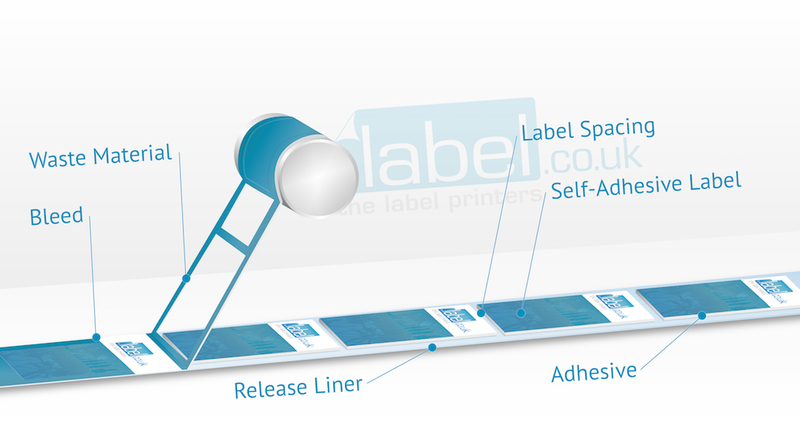 These types of labels can also be referred to as pressure sensitive labels, digital labels or just simply roll labels. How are Self-Adhesive Labels Used? What are the Benefits of Adhesive Labels Printed on Rolls? Which materials do we use when producing self-adhesive labels? At label.co.uk we are able to provide a whole range of standard, premium and specialist materials. It is also important to consider the adhesive used in certain cases. The majority of our materials feature a permanent adhesive that is perfect for product labelling. We are also able to offer freezer grade adhesive and low-tack adhesive where required. Why not request a Sample Book? 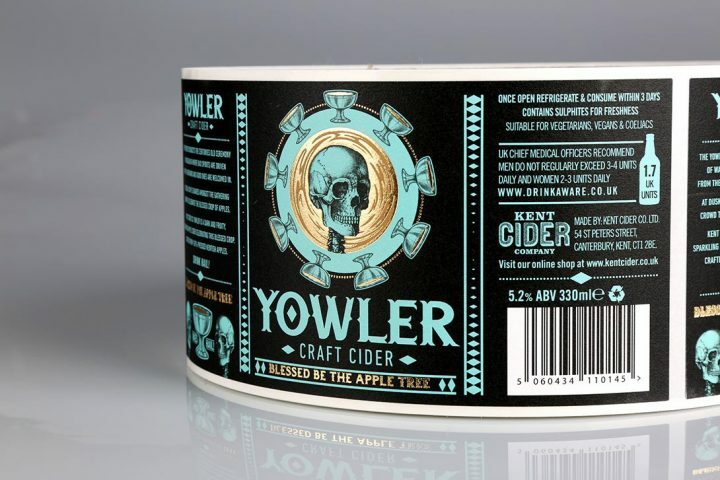 Can label.co.uk produce custom-shaped labels? In short, yes! From standard rectangular and circular shaped labels all the way through to intricately designed, custom-formed labels, present no problem. You are able to stipulate the size and shape of your label using your print-ready label artwork; we then extract the relevant data and manufacture cutting tools to suit. Which colours can I use on my labels? We are able to print self-adhesive labels with just about any colour. All the way from one single colour to a four colour (CMYK) process with a number of Pantone Spot Colours. 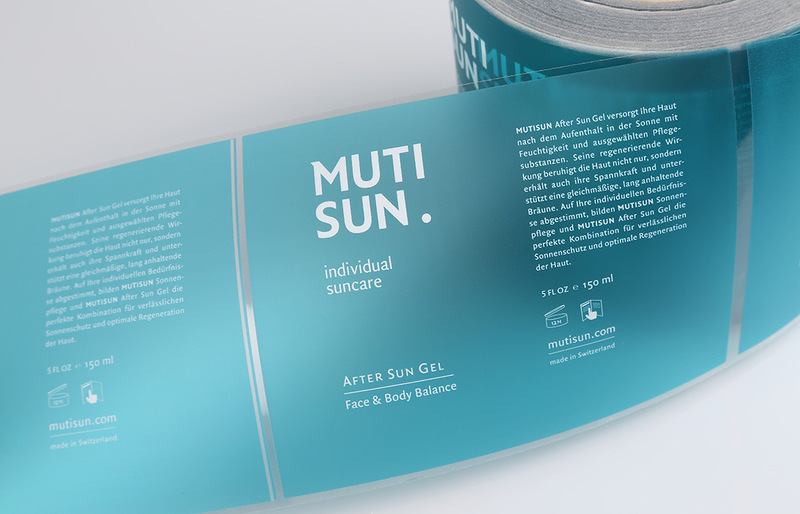 We also have the ability to print metallic colours, simulate metallic colours and foil stamp metallic colours – perfect for premium product labels. What is the quality of your labels like? At label.co.uk, we have a no compromises policy on quality, both in the print technology that we use and the materials that we stock. Premium quality is our niche, we only print in digital and conventional offset quality. We always deliver between 5 and 7 working days. For those “we needed them yesterday” moments, we also offer an Express Production service that delivers within 48hrs. All of our labels are sent out via courier, we automatically send you the tracking codes on dispatch – how efficient is that? Personal, bespoke advice and account management is something that we pride ourselves on, it all comes back to our no compromise on quality philosophy. Yes, we are an online business but we also have a dedicated customer service team committed to providing bespoke solutions. We openly encourage you to give us a call! Ensure that your label artwork files are print-ready; download our data delivery guide.